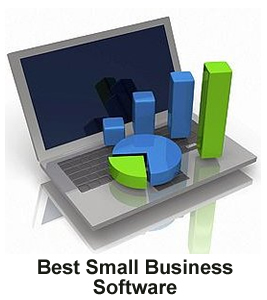 Choosing the right software for a small business online can make a huge difference in your success or failure. It's not really the software itself that makes a difference in most cases, but rather having the right tools and guidance to ensure you use the most effective web business building process. It's really the process that is key when seeking online success for your business. Often business software refers to backup, accounting, word processing, virus protection or accounting software. But I'm talking about something more specific. While those business software options may be important and a definite part of your small business plan, the most important and core ingredient for success in an online business is the foundation of your business website. If you don't build your web presence correctly in the first place, you won't have much need for all of the "extra's" that allow you to maintain and streamline your business effortlessly. Speaking from my own personal experience, it can be difficult to find the right software for a small business online that is going to do the job most effectively for your particular business niche, whether you are planning a small business e-commerce site, direct marketing, affiliate marketing, info-publishing, or service selling. The bottom line is always going to be the same. You need an online business that is going to draw in targeted visitors/traffic from the search engines - customers and clients who are looking for what you have to offer. What's So Different About SBI? What's so different about Solo Build It? This small business software is an all-in-one business building program that takes you from where you are (newbie or techie) and leads you step-by-step through the proven business building process so that you are able to achieve online success with your business. All the tools, software, and resources are integrated in one affordable package that work seamlessly together. Continual updates and upgrades are included at no additional cost as the ever-changing web environment adjusts and matures. Because online marketing was completely foreign to me, my favorite aspect of Solo Build It's business building program was the Video Action Guide. Yes, the step-by-step Action Guide (AG) is in a written format as well, and I've read every word. But being able to actually see each step done increased my comprehension many times over. As you follow the AG to build your business, you can download this Business Building Checklist to keep you on track and make sure you haven't overlooked any vital steps. Just like any great structure, the most important part of building a small business is the foundation. 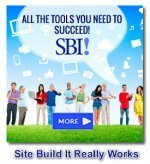 Solo Build It will allow you to build a strong and stable foundation for your business using their software that has brought proven small business success again and again. If you'd like to see some of the many successful small business websites built with Solo Build It, just take a look at these samples.